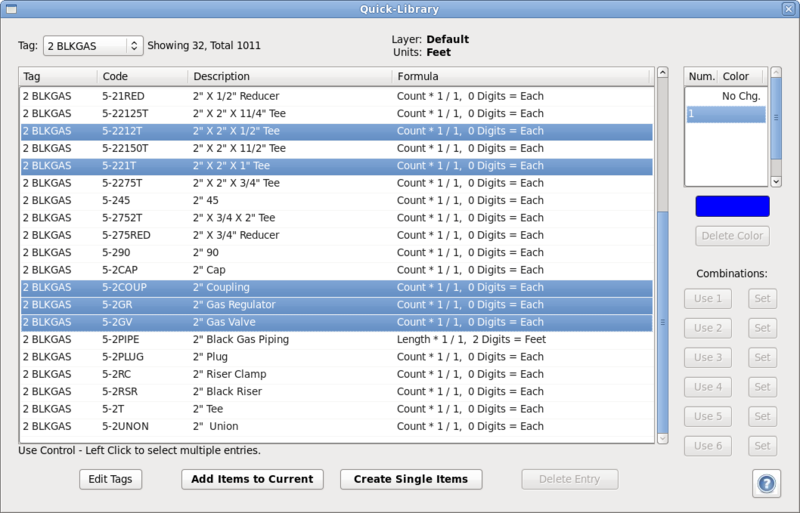 QuickEye Estimator is totally different. With only one to three hours invested in learning and setup, you will gain one to two hours each day in productivity. It has a fresh design that doesn’t imitate the others. We start out with an efficient workflow to generate ‘ready to price’ Quantity Items. Then we add two accelerators to generate this end product as smoothly as possible, without the tool getting in the way. First, multiple measurements representing a single item are summed together so that, for example, rooms that are painted the same, do not have to be dealt with individually. 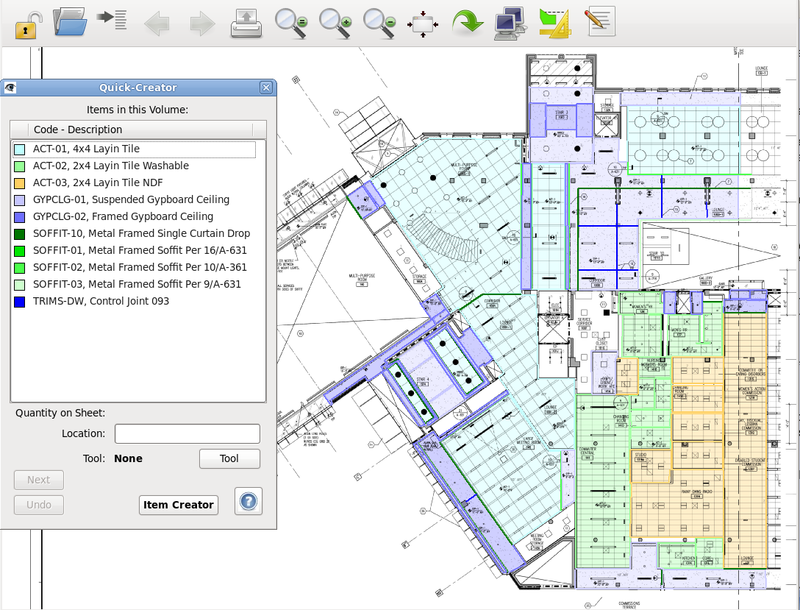 QuickEye Estimator – Take Off Estimating, Plan & Monitor Project. Then there is a powerful system for saving several aspects of a measurement, converting the units and labeling the quantity. Set current prices for labor and materials. 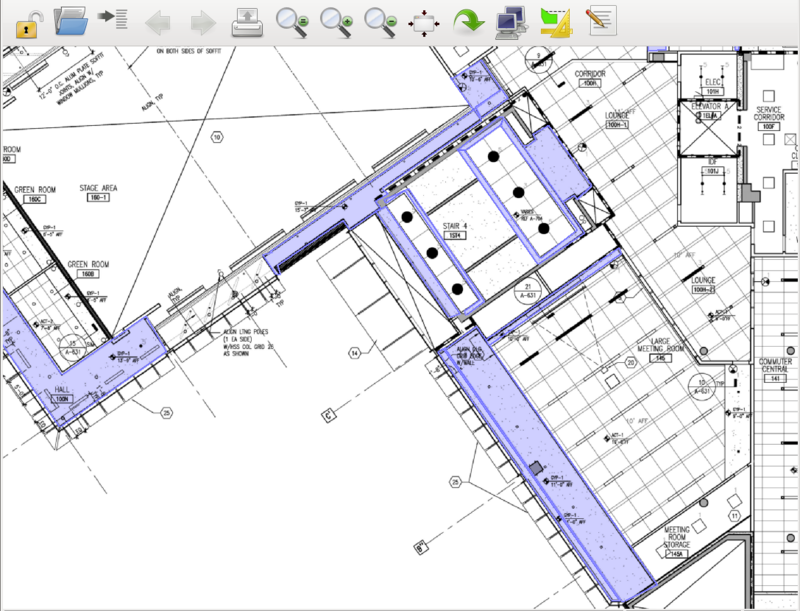 This way, a single feature on the drawing, only needs to be traced once, gives you all the quantities you need from it, and doesn’t display excess data. 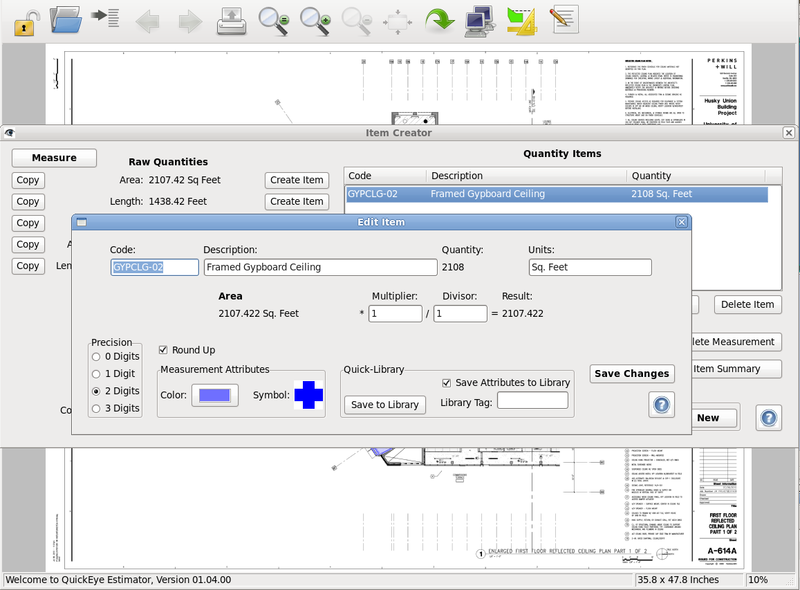 The Quantity Items produced are properly coded so that the current prices for labor and materials may be automatically applied without needing to pour over a ‘Measurement List’. Use the library and/or build your own. Next, accelerator number one, the Quick-Library, is used to provide consistency and speed when creating items for a particular project bid. 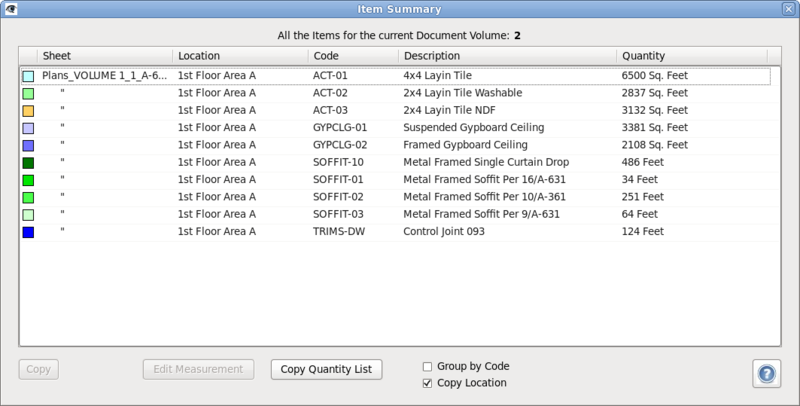 The library entries are quickly created from the ‘Create Item’ screen, already organized and ready to use. This library is built as you work, no long setup step is needed. Apply the Quickeye Library to different sheets. Then, after the Quick-Library is used to create the items needed at the start of the takeoff process, accelerator number two, the Quick-Creator is used to create and fill the items on the different plan sheets. Intuitive Auto Text & Many Incredible Features. The net result is that you spend very little time specifying what the numbers mean, so you can steadily trace the drawing until you’re done, without the process getting in the way. And, with the ability for your sales manager to quickly review what’s behind the numbers and to automatically price the resulting quantities (if your costing system or spreadsheet supports it), the speed and consistency of this system is unmatched. As your staff train on QuickEye Estimator, you will find that it has the features you need and not much you don’t, allowing it to be learned in just a few minutes or hours, not, days or weeks. The time invested to learn it is small, and the productivity gained is big.